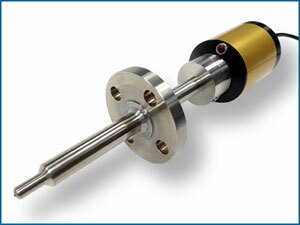 The Pilot™ probe for LNG has been developed for in situ process analyses of cryogenic liquids. The modular design of the Pilot probe allows the sampling point to be customized for each customer’s process and site requirements. 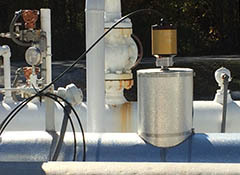 Analyzing LNG as a cryogenic liquid eliminates the errors and maintenance associated with sampling systems such as vaporizers, which are typically required with traditional process analyzers. The Pilot probes can be supplied, marked, and certified to the ATEX directive or North American hazard area safety requirements. The combination of the Pilot probe for LNG and the Kaiser Optograf™ analyzer yields a powerful Process Analytical tool for in situ composition analysis of LNG and mixed refrigerants using quantitative Raman spectral analysis. All Pilot probes utilize a single fiber for excitation and another for collection. This design provides a robust interface and reduced cost for long runs of fiber in the process environment. The use of a single collection fiber enables the Optograf analyzer to simultaneously measure up to 4 streams, greatly reducing the total analysis time when compared to traditional analysis systems which employ sequential measurement techniques. The standard fiber cable length is 15 meters, with a maximum standard cable runs up to 250 meters. Longer fiber runs can be considered on a custom basis. For additional applications of the Pilot probe, visit Kaiser Optical Systems, Inc.
*As built, probe range may be limited by flange or other process interface.